As a leader in teaching, training, and transforming boys in Detroit, Jason Wilson shares his own story of discovering what it means to "be a man" in this life-changing memoir. His grandfather's lynching in the deep South, the murders of his two older brothers, and his verbally harsh and absent father all worked together to form Jason Wilson's childhood. But it was his decision to acknowledge his emotions and yield to God's call on his life that made Wilson the man and leader he is today. As the founder of one of the country's most esteemed youth organizations, Wilson has decades of experience in strengthening the physical, mental, and emotional spirit of boys and men. In Cry Like a Man, Wilson explains the dangers men face in our culture's definition of "masculinity" and gives readers hope that healing is possible. As Wilson writes, "My passion is to help boys and men find strength to become courageously transparent about their own brokenness as I shed light on the symptoms and causes of childhood trauma and 'father wounds.' I long to see men free themselves from emotional incarceration-to see their minds renewed, souls weaned, and relationships restored." 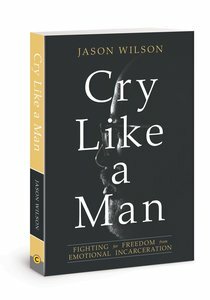 About "Cry Like a Man: Fighting For Freedom From Emotional Incarceration"